Last Tuesday, I spent my morning at The Mind Museum for the official opening of the Science Film Festival 2014. The Philippines is proudly hosting the festival for the 5th year this 2014 and this wonderful festival is organised by the Goethe-institut and its partners in 14 countries. 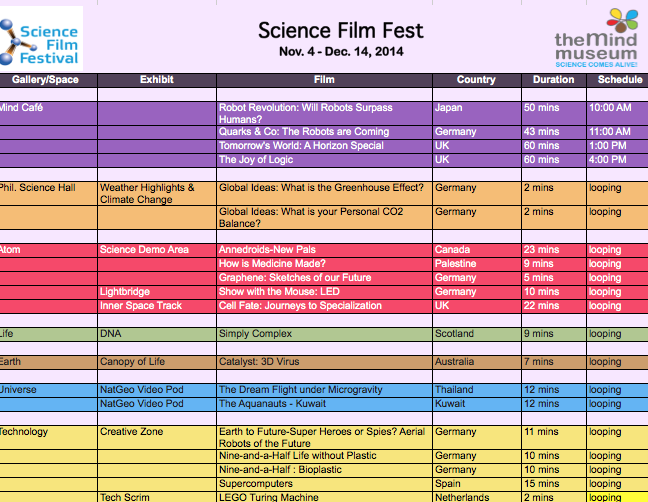 This year's Science Film Festival centres on the theme "Future Technologies". The Science Film Festival 2014 was opened up by The Mind Museum's Curator, Ms. Maria Isabel Garcia. 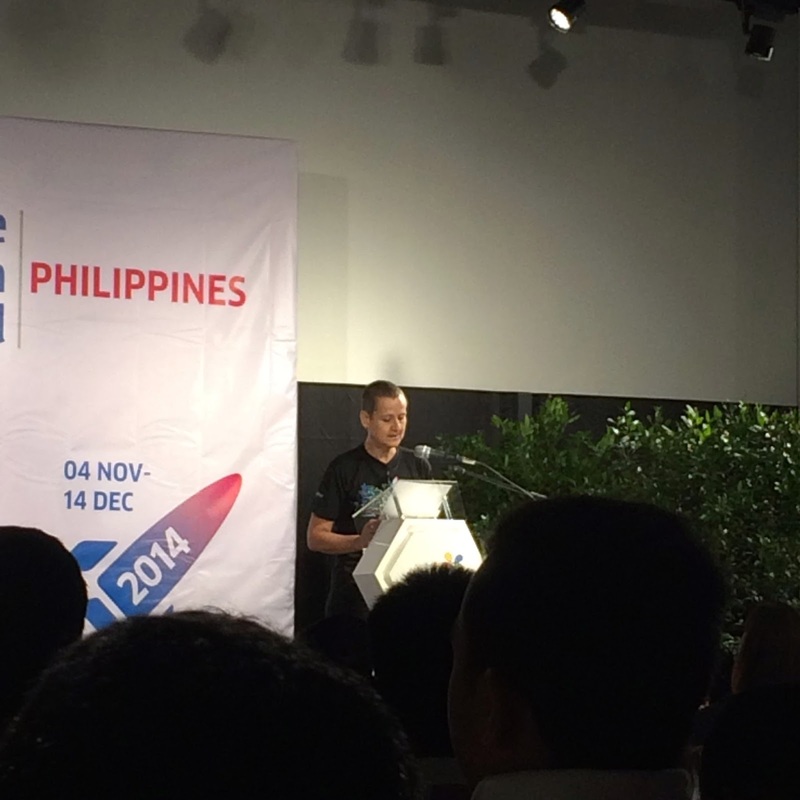 "We are honored to host the opening of the 5th Science Film Festival in the Philippines. Like The Mind Museum, the festival is a celebration of how the arts help in making the stories of science and technology connect with larger audiences. Organized by the Goethe Institut, this year’s theme focuses on Future Technologies. We have specially curated 20 films from the international selection for elementary, secondary, and university audiences and have woven them into our galleries and exhibits where guest-learners can view them from November 4 to December 14. Join us as we imagine a future that science has shaped with understanding and one where technologies are fashioned in the service of better lives and of a healthy, living planet." 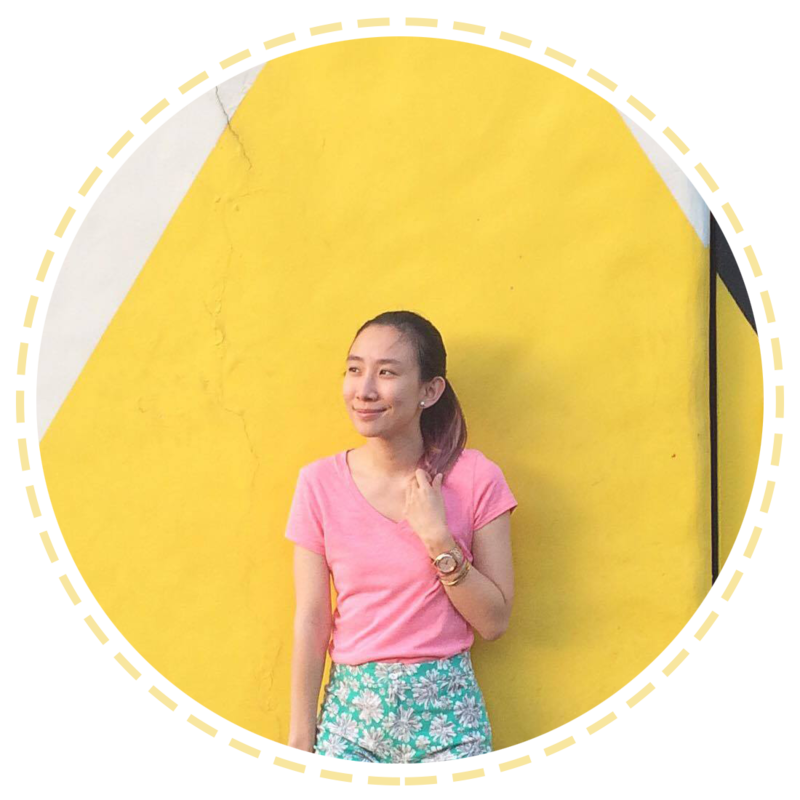 She was then followed by the director of Goethe-Institut Philippines, Dr. Petra Raymond. "In its 5th edition in the Philippines, the Science Film Festival showcases the theme “Future Technologies” – a logical next step from the theme “Renewable Energy” in 2013. We are very proud that our proficient local jury selected 32 movies out of 15 different countries. These especially-selected films communicate scientific concepts in an easily-digestible and enjoyable form, providing schools and institutions a non-traditional medium for science teaching and learning." My favourite among the two would have to be Nine-and-a-Half's Life Without Plastic, because it made me realise how almost 95% of the things we use in life are made out of plastic! Even our laptops and phones! Imagine life without those two now!>_< But please do watch it! It's a good film! The movies will be shown in over 200 schools, museums and other venues nationwide. The festival partners include: Department of Education, Department of Science and Technology, The Mind Museum, Museo Pambata Foundation Inc., Manila Ocean Park, National Library, ASEAN Center for Biodiversity, U.S. Embassy, Philippine Science Centrum, Quezon City Science Interactive Center, Felta, Ablan Foundation, Cornerstone, UP Deutscher Verein, Leyte Normal University, Film Development Council of the Philippines and the German European School Manila provide venues for the screening of the movies in Luzon, Visayas and Mindanao. Detailed information about the venues and screening schedules will be available at www.goethe.de/manila. Aside from the films, The Mind Museum's resident scientists, the Mind Movers will further enrich the film fest experience at the museum from Tuesdays to Sundays, 6 times a day at 10am, 11am, 1pm, 2pm, 4pm, 5pm. Thanks for sharing this. I missed attending this event... as with most events I get invited to. Since I'm homeschooling a 5th grader, I really include videos for him to learn his lessons. Hopefully we can schedule a film viewing at the museum soon.